Sprint has launched the Android 4.4.3 KitKat update for the Motorola Moto X. The update comes just a week after Google released the update for its Nexus lineup, and for a few Google Play Edition handsets as well. T-Mobile and Developer Unlocked units of the Moto X received the update already. 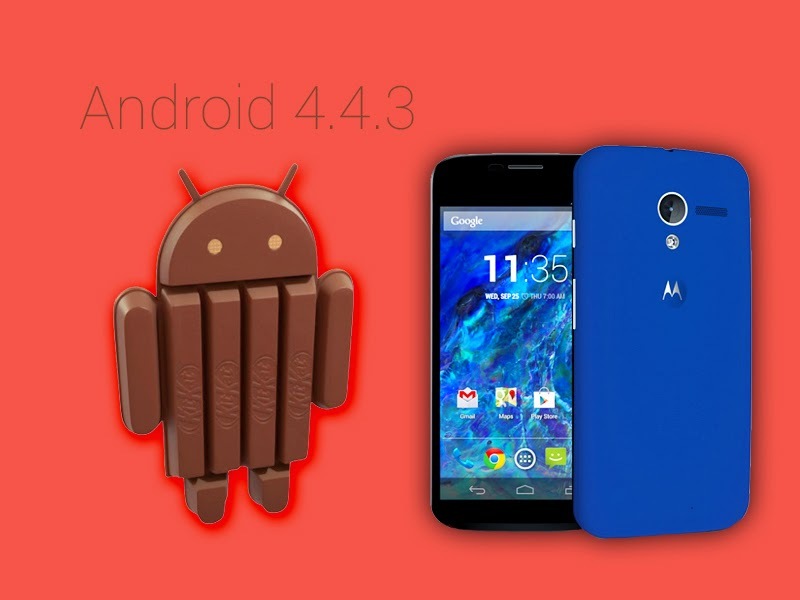 Android 4.4.3, KitKat - Android 4.4.3, KitKat, is the latest release of the Android platform. This release includes several stability, framework and security fixes in addition to accuracy improvements to the power profile. Camera - Improved image quality - Improved camera image quality including better consistency of exposure, more realistic flash coloring, improved photos in low light conditions using front camera. Camera - Pause video recording - Added the ability to pause video recording with a convenient pause/resume button on the viewfinder. Updated Phone dialer - Updated Phone dialer with a new graphical layout and colors to improve consistency and usability.